In order to protect the beautiful country we live in, and everyone we share it with, it is important that we deal with waste products in a responsible and environmentally friendly manner. To this end, government legislation specifies what must be done with certain products such as waste fuels and mineral oils. These must be stored in secure containers until they can be disposed of in a safe and controlled manner. 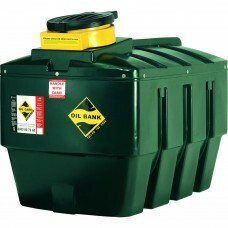 All the bunded waste oil tanks for sale from CHF Supplies conform to the latest regulations and are designed for convenience and long term use. Fully bunded they exceed all current and regulatory requirements. 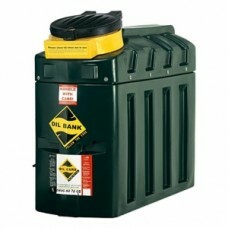 What is a Bunded Waste Oil Tank? Put simply, a bunded tank is a container with a double skin all the way around. It is effectively a ‘tank within a tank’, providing an extra layer of protection for the contents. If the outer skin of the tank loses its integrity, either due to corrosion or damage, the inner tank will prevent the waste oil or other fluid from being released into the environment. This double layer of protection is the reason bunded tanks are required by law for the storage of most harmful chemicals and other materials. 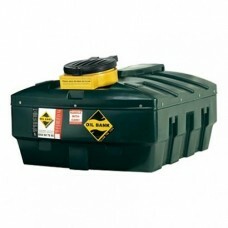 In the case of the skid mounted tanks below, it also makes the handling of such containers safer. Each of the static bunded waste oil storage tanks can feature a tundish filler cap. This means the filling aperture is within a recessed dish which acts like a funnel to channel the waste oil into the tank. These tanks are of steel or plastic construction. For some applications, a plastic tank made to similar specifications may be preferable; these can be found here. If you need any further information on our bunded waste oil tanks or any of our other products, please don’t hesitate to contact us.